“THE TERMINATOR” co-writer and producer Gale Anne Hurd walks out of a Terminator screening over popcorn (yes we are serious). Some people really like their regular movie popcorn! 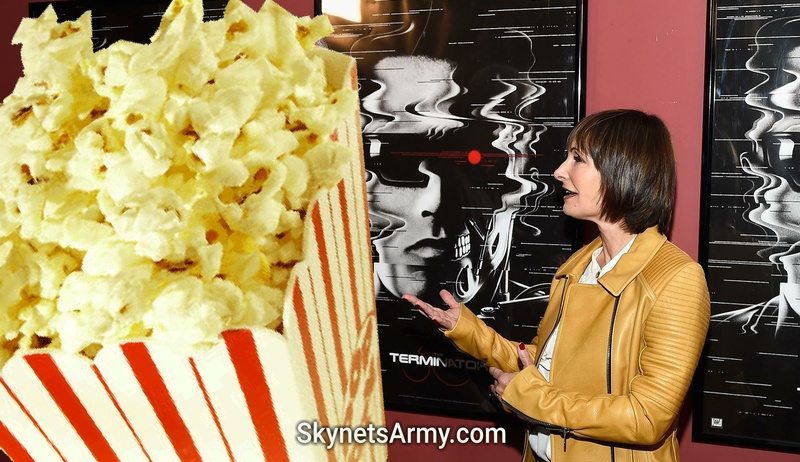 And co-writer and producer of 1984’s “The Terminator” Gale Anne Hurd apparently likes her movie popcorn so much, she was willing to walk out of a movie screening when they didn’t have regular movie popcorn (even when the movie being screened was her own movie, “The Terminator”)! Over the weekend, Gale Anne Hurd seemingly attended a retro screening of “The Terminator” at the Metrograph theater in New York. Hurd then left the screening because the only popcorn flavors the theater offered was sea salt and olive. 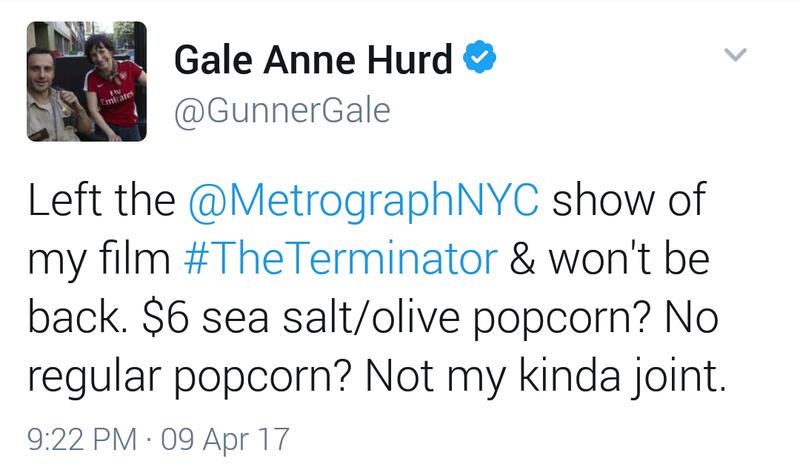 So apparently to Gale Anne Hurd, nothing can stop the Terminator… except of course, a lack of regular popcorn. Previous PostThe reasons why changes were made to the T-800 Endoskeleton in “TERMINATOR GENISYS”.Next Post“TERMINATOR 2: JUDGMENT DAY 3D” is coming to Theaters in the NETHERLANDS! It can’t have been the price but the flavour that was problematic.